Bunkhouse ** 1 Slide ** Slide Topper ** Clean ** Fiberglass Front Cap ** Clean! 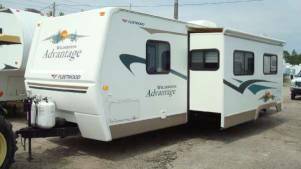 This is a single owner RV. It's in great condition with several nice optional features.